Coffee grinders can make or 'break' your great tasting cuppa. Coffee grinders are important in the coffee process, starting from the sorting/grading, then the roasting, followed by the grinding and lastly the brewing, the grinding affects how you final cuppa would be. This is because different brewing method demand different types of coffee grinds, and these different grinds also require varying length of time to brew. Therefore, before using any coffee grinders ,decide on the brew that you want. A shorter brewing time would require a finer grind, i.e. when making an espresso. So, conversely, the longer brewing time would require a coarser grind, i.e. when using a French press. 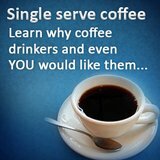 This is an ebook that shows you what are the various popular espresso drinks. Of course, the above touches on the fine points of what coffee you need. But, a more important point, is the flavor and aroma that coffee would lose if it is not freshly grind. As soon as you open the pack or can or ground coffee, the freshness begins to lose aroma and freshness. This is due to oxidation which causes the aromatic coffee oils to break down. True, the oxidation of coffee that cause it to lose aroma is a taboo and bad news to all coffee lovers. But, there is one good thing it can add value to you. Ever have fridge that smells like fish market? Using the coffee oxidation theory, leave an open can or pack of coffee beans in the fridge and be amazed at the power of coffee in banishing its unpleasant odor. This is a grinder that produces more even and uniform grind. Although they are available in manual and electric models, the former is seldom used in our days and the latter are the preferred ones, like the popular Capresso Infinity. They offer quick, easy grinding and the clean up is easy.Because of the burr cutting, its most talked about advantage is the lesser heat that it generates, preserving the authentic roast condition of beans. This machine comprises of a small electric motor, using it to spin 2 metal blades at high speed to grind the beans. Usually, involves chopping, cutting and crushing motion. The biggest drawback about these grinders, is the heat that it generates that can heat the beans and alter the original flavor of the roast. Due to the simplicity of the design, some folks have actually use normal blenders in place of a dedicated one. This is highly discouraged, as coffee takes in flavor easily and I am sure you do not want your espresso to smell like onion! Sometimes known as antique or hand grinder, these are usually wooden boxes with a propeller blade (although Zassenhaus is a burr) that is turned manually. Coffee beans are added in a small door on the top of the box. The ground coffee would fall into a bottom drawer as you turn the propeller. Similar to vacuum coffee maker, this is about theatrics and is fun. But, it is rarely able to achieve fine grind and you would probably not want to use it if you want to grind large amount of beans. Surprisingly, the maintenance of the manual grinder is relatively easy though when talking about ease of use, electric ones are definitely better. This has to be the most ancient way to grind coffee. Other than time consuming, it has to be all done by hand and is a sure way to build strong muscles. And if you are not an expert in using this tool, it is almost impossible to get an even grind. So, other being aesthetically satisfying, there is really no reason why you should use this to get coffee ground. If you are always on the look out to better your skills in getting that great cuppa -grinding is essential. Truth is , though 4 types of coffee grinders are featured, you would probably choose between the burr or the blade. 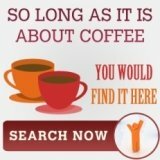 This is a good site for Grinders info as well, so do check it out if you need more coffee grinder information. Grinder ratings should be done by Yourself, because only you only what machine is best for you, so coffee grinder review should be done by you! Lello -More Than a Coffee Maker with Grinder!! Why burr grinders? Why people say it is better than blade coffee grinders? And among the burr grinder, is it true than conical burr grinder is better? Zassenhaus coffee grinder has a very attractive look and feel, other than that, it is a very mobile piece of equipment that can accompany you anywhere. Should coffee makers and grinders be in one machine? Similar to anything, coffee makers and grinders residing in one machine has their pros and cons, so is such a coffee machine applicable for your coffee enjoyment? Should You Get A Coffee Maker With Burr Grinder? Coffee maker with burr grinder is a typical two in one machine, buying this machine would have some cost savings, but would it better your coffee experience? How to Choose a Grinder? How to choose a coffee grinder, what are the things to look out for in getting a good grinder to ensure a good coffee brew? A grinders has many components, but this one grinder part determines the price and of course the performance it. Is a Coffee Brewer Grinder Better or Worse? 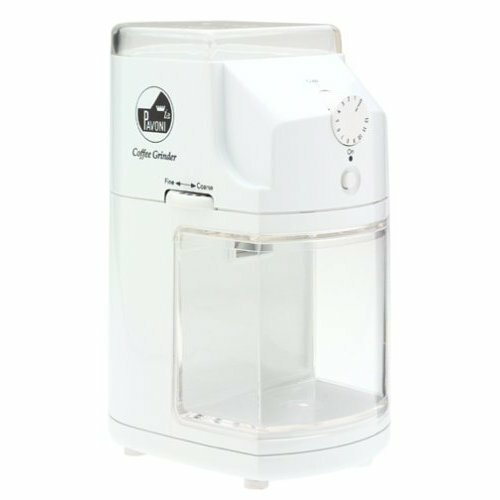 A noisy coffee grinder is more than just a nuisance, it would meant uneven grounds and lose of coffee flavor, all these of course is not evident in this kitchenaid grinder. La pavoni burr grinder greatest value add is its ability to dial the exact amount of coffee beans to grind for your actual brewing process -what do I mean by that? Mazzer mini, is perhaps the more well known mazzer coffee grinder. And for one, it is popular because of its size -people chooses it because it is heavy and big, you would think of the opposite right? Not many people even know what is a coffee grinder pot, but taking care of the grinder pot is essential to good coffee. Commercial grinder for home use? Which Grinder Parts Is Most Important? Many folks complained that their free coffee grinder is not performing to the standard. But, being free, can one really expect it to be a mazzer or a masestro grinder? Krups burr grinder is cheap and good. Get a Hamilton Beach grinder if you hate cleaning up. Hamilton beach coffee grinder other than offering easy storage and clean-up, saves you time, an commodity that is precious to you, don't you agree? Coffee mills that requires you to use manual strength does have its value add, and here are some snippets of it. 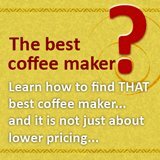 Why buying whole bean coffee might not be a good choice? Sure, whole bean coffee offers fresh coffee, but are you willing to go all the way to have it? What is a very famous burr coffee grinder that you would be able to relate to? Ever heard of this brand Ascaso? What is so difficult about using a coffee bean grinder? But, there is no harm in knowing more about using it right? We all know that coffee maker grinder is good, but does it really gives superior quality coffee ground? Braun coffee grinder is said to be very durable, so how many years would you think it can last? What do you think of this krups grinder? When it comes to cost, mr coffee grinder is really unbeatable low, but should you get it? Any good commercial grinder to recommend? Learn about the factors that define a good commercial coffee grinder, and it has nothing to do with the pricing. Coffee Maker With Grinder Gives Better Coffee? 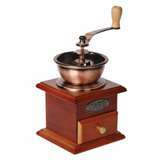 What has knowing the coffee grinder maker got to do with finding a good grinder? People prefers coffee burr grinder rather than blade, why? Coffee drinkers prefer the coffee burr grinder over the blade grinder, why is that so? Can arcade coffee grinder be used? Arcade grinder is a grinder that is purchase but seldom use -why? 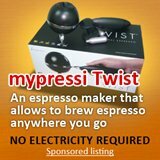 Get better espresso grinders at higher price? Best coffee maker grinder must burr! Solis grinder, Mastero grinds better than Starbucks' quality! Kitchen aid grinder, Pro Line Burr can get you the starbucks quality ground, so what would be its pricing? Have A Great Story About Coffee Grinders? Do you have a great story about coffee grinders? Share it!